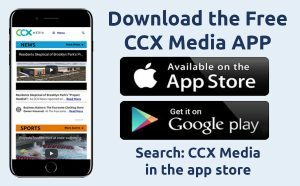 On CCX Media’s Sports Jam for May 14, 2018, highlights from section true team track and field, plus tennis, lacrosse, softball and baseball including big wins for both Osseo and Park Center. In this week’s Sports Jam Spotlight John Jacobson takes a look at the growing sport of boys volleyball, introduced as a club sport this spring at 20 plus high schools statewide this spring, including Osseo and Hopkins. Also Jay Wilcox talks baseball with Armstrong players Brayden Gray and Cole Harms and head coach Brian Sobiech. Plus our Plays of the Week segment.